Skid plates are completely bolt-on and protect the mounting tabs of the lower control arms on the Dana 30 or 44 front axle. Why does this matter? Simply because the mounting tabs are among the first parts to hit the rocks and they are pretty easily damaged. 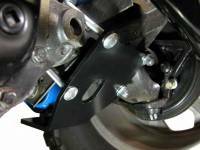 The tabs are made of surprisingly thin material and we've seen and heard of them being literally torn off while wheeling. Other companies offer beefier mounting tabs that you can weld in place once the originals are damaged, but why let them get damaged in the first place? Replacing these tabs with beefier ones takes a lot longer than preventing the damage. 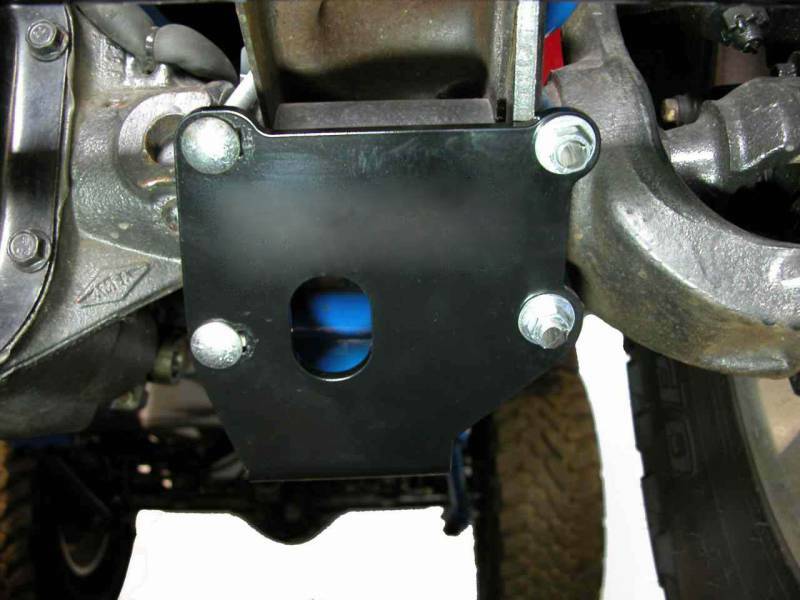 These skid plates are built to take a beating! 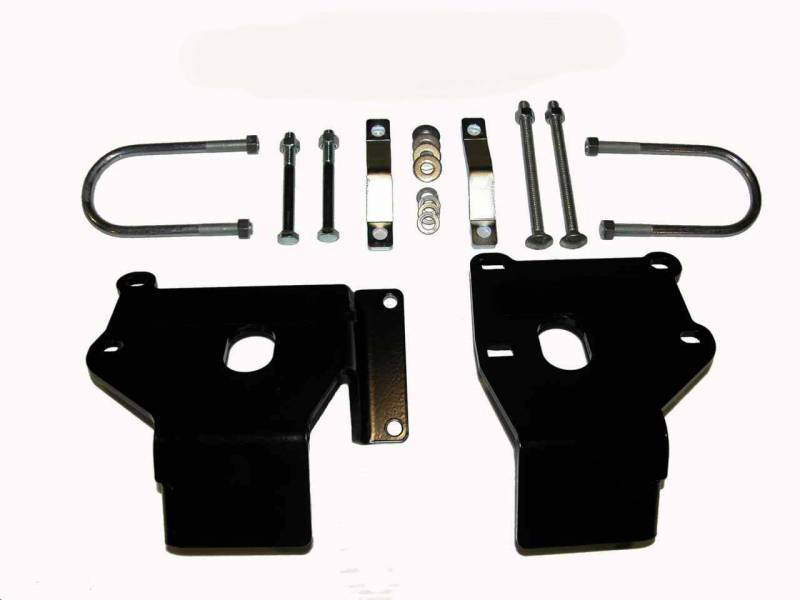 They are made from 1/4" steel and use custom-made, Grade 5 U-bolts and carriage bolts to mount them solidly to the axle. 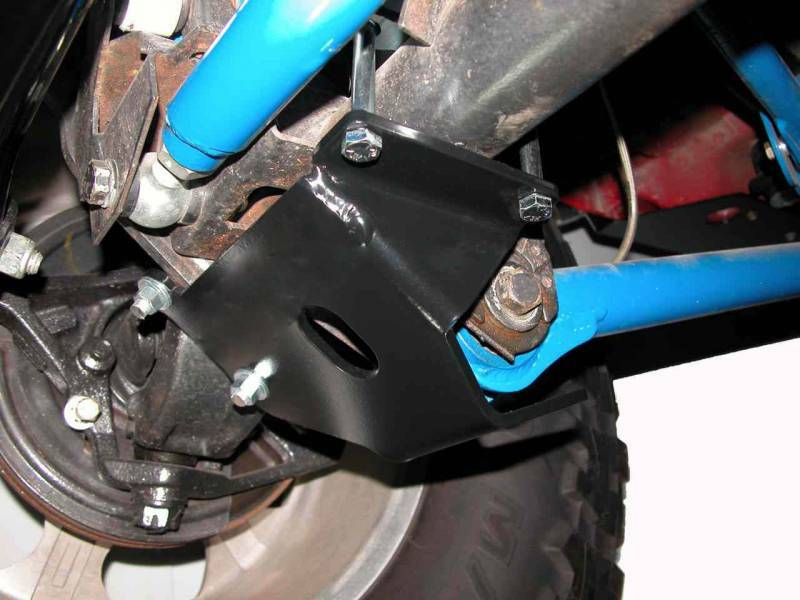 They fit tight up against the sway bar mounting tab on one side and up against the axle housing on the other side. 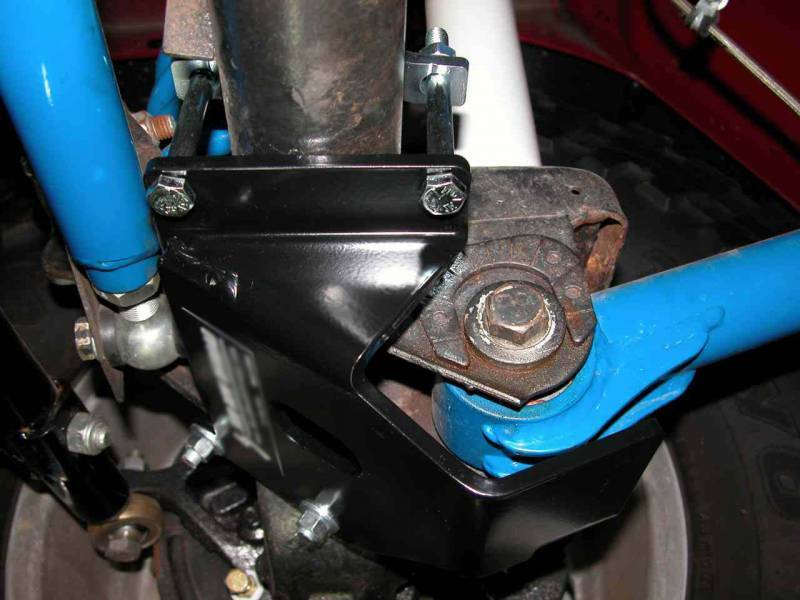 They are also attached using the control arm mounting bolt to make sure they're solid. 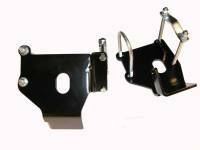 These skids are designed to fit with stock or aftermarket control arms and will work with virtually any aftermarket track bar. If you have an early XJ Cherokee with the vacuum axle disconnect, the skid on the passenger side won't fit properly. 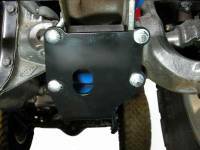 If your track bar has been lowered on the axle end, (SkyJacker makes a kit like this) the skid on the passenger side won't work.